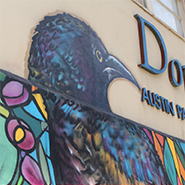 The Dougherty Arts School's adult arts program is dedicated to enriching the Austin community with hands-on artistic opportunities. The school hires skilled artists that are committed to sharing their knowledge and exploring new ideas with students. Play with clay. Paint, draw, sculpt and create! Act, dance, and sing! Explore the world of make-believe! This on-going monthly program is a great introduction to the visual and performing arts throughout the school year. 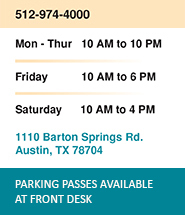 Creativity Club is an after school program held at the Dougherty Arts School and at participating AISD elementary schools. Students engage in TEKS aligned arts education through 2D and 3D visual art, digital arts, and performing arts. 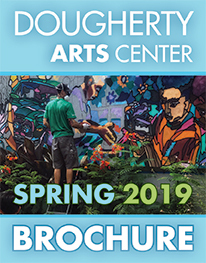 The Dougherty Arts Center’s Youth Saturday Arts Program helps young artists to expand their experiences in various art mediums that they might not receive in conventional arts education. 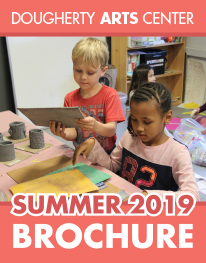 Come join our fun and creative camps where young artists discover their imagination through visual and performing arts. The goal of our camps is to provide an organized and accommodating environment where campers are encourage to experiment and develop their own ideas.